Every time Winter arrives, tuques, snowsuits, mittens and boots are out along with our family and collective eczema. I was only a little baby when I started with a very severe eczema, always itchy and always red for the longest time. 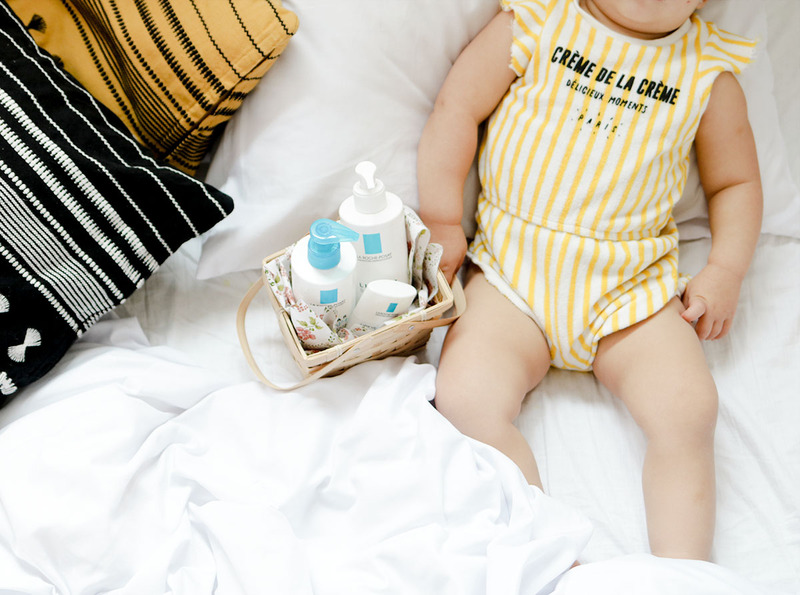 After having Oli and Nico, I realized I wasn't the only struggling with it, but they have an eczema-prone skin as well. With the drastic temperature changes and air pollution we have all winter long, our skin suffers the most and skin issues are triggered faster than light. Believe it or not, there is real proof that diet, a stressful life and changes in our lifestyle are basic factors we need to be aware of when we talk about dermatitis or eczema. 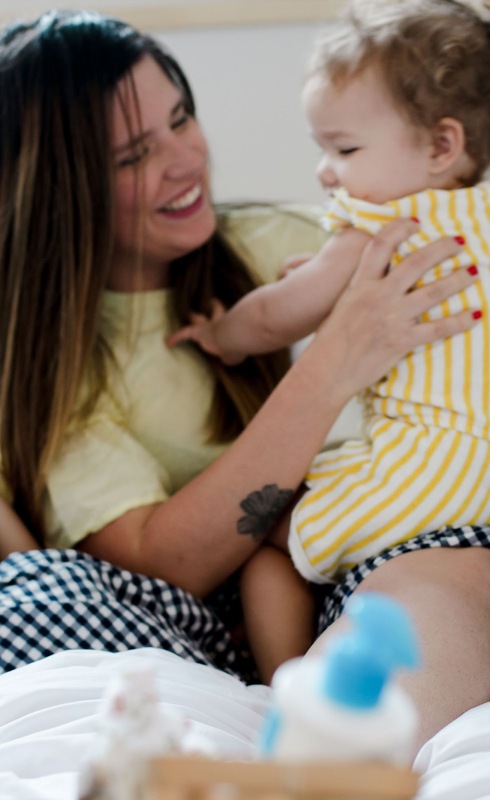 I know you should seek professional advice if you suffer from this, but here are some tips that can be useful for you (and your babies) to relieve this condition, fast! Sometimes I see both Nico and Oli scratching themselves so much, at a point they either scream or run hiding to scratch a bit more. I get it, Montreal winters aren't easy and for our little ones, it's a bit harder for them, just because their skin is a lot more sensitive than ours. Keeping cool temperatures in their bedrooms especially at night will relieve the itching along with a humidifier on all the time if you feel the air is too dry. Keep in mind, clean as much as you can and always remember the dust is your number one enemy, so, vacuum parties everybody! 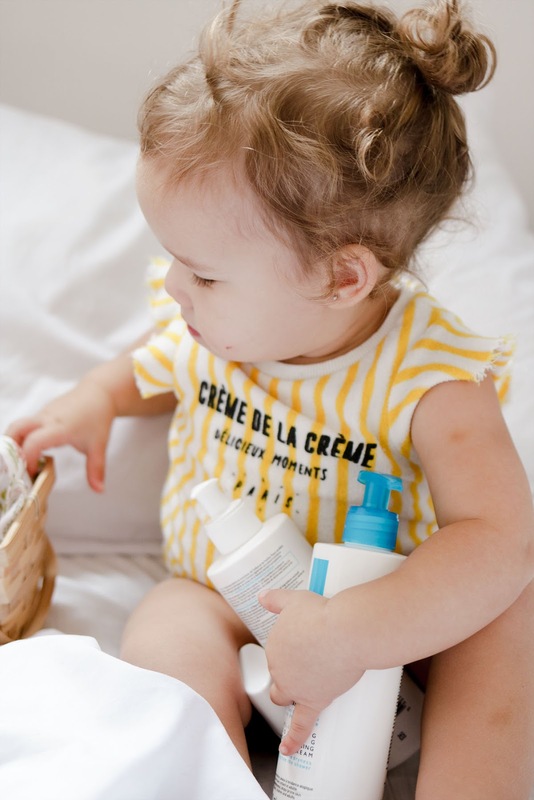 Secret confession: this mama has been struggling with eczema and honestly have tried and bought all products for a while now, ALL of them. 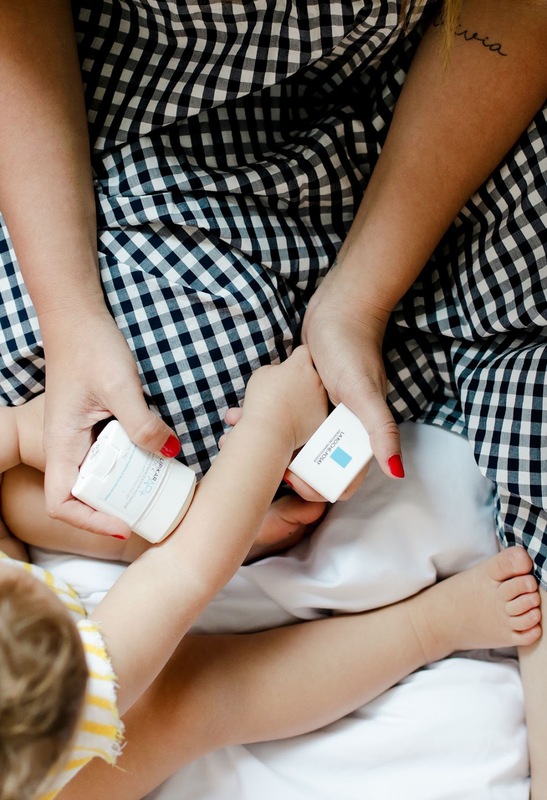 When La Roche-Posay launched their new Lipikar Stick AP+, I knew it'll be jackpot time for our family and I'll explain our routine and why in the next tip. Start our bath with a gentle anti-itching washing cream (Lipikar Syndet AP+) which avoids aggravating eczema-prone skin during washing. Itching-too-much kinda night? I run and use the number 1 on-the-go and instant soothing Lipikar Stick AP+ - Game changer. Say buh-bye to dull, dry and itchy skin, deal? PS. In case you are wondering (I know you are) all these products are fragance free, paraben free and hypoallergenic - WIN. Besides a good routine keeping your skin on point and hydrated, I've changed my habits and I swear keeping the stress to a low level has helped so much controlling eczema, lots. I started my once in a while hot yoga classes, pilates and hot barre when I have some free time during the week and also, there's so much truth in "you are what you eat" that I'm more concerned about what I eat, and when I eat it. Pizza, ice creams and forever deep fried life? Game over. I've included a lot more antioxidant-rich vegetables, lots of green juices with ginger, and good fats - oh hey, nuts! Avoid sugar and lots of carbs, they can trigger eczema as well. 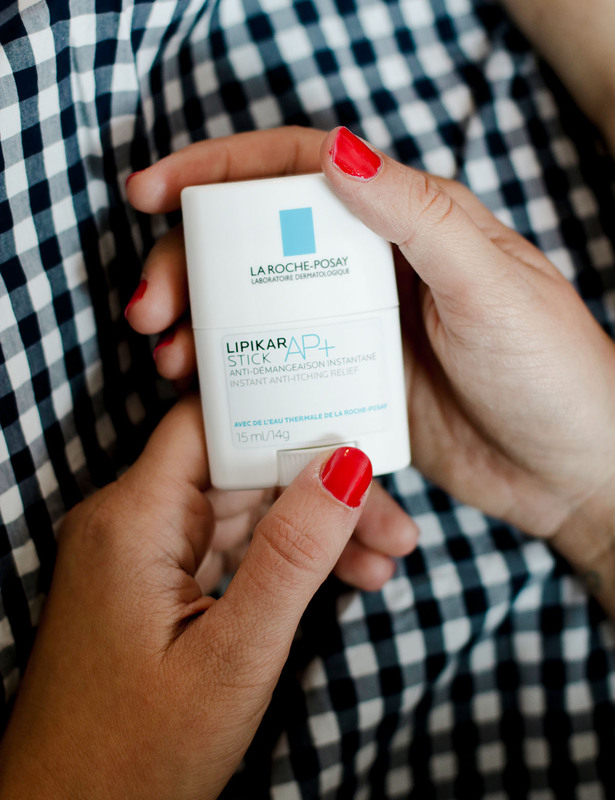 Endless thanks to La Roche-Posay for sponsoring this blog post. I already feel our skin looks so much better, and we've loved using your products every day. Disclaimer: All opinions, content and lotion sessions with Olivia are truly mine. We have several family members who suffer from eczema. Always looking for a products that will heal and prevent this skin problem. Me and my kids suffer from eczema so this was helpful! It's great you've found a product that works for your family! It's so hard when the little ones are uncomfortable. That baby!!!!!!!!!!!!!!! These products look amazing. 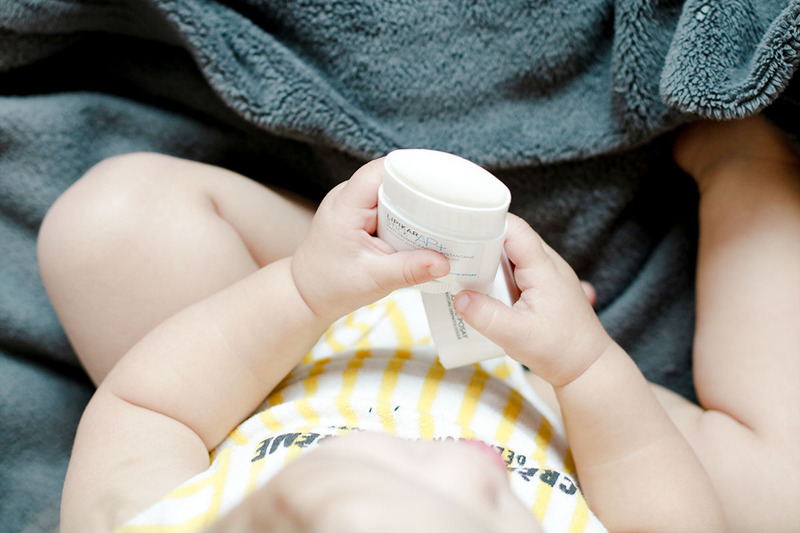 I wish that i had this stuff when my kids battled with eczema! !